Kapiolani Park is about as close as you can get to Diamond Head and still see it. Any closer and you're climbing it. 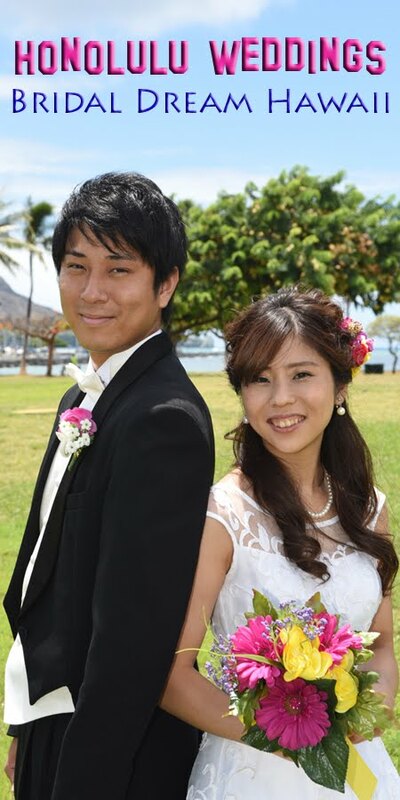 Across the street is another nice spot for wedding photos at Kaimana Beach.